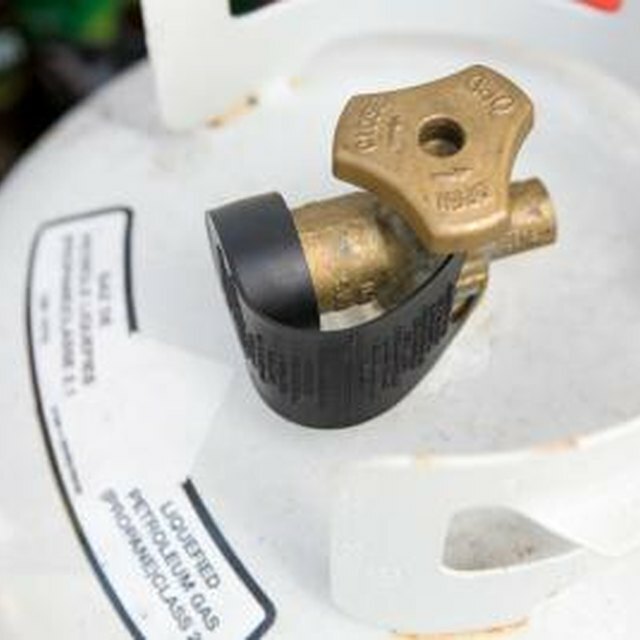 If your oil tank springs a leak or you plan to upgrade to a newer heating oil tank you must drain the oil out of the tank before the old tank can be removed from the home. By taking a few precautions to protect your carpet or flooring, you’ll be able to drain the heating oil tank without any long term effects. It’s important to take your time when draining the tank or you could have an environmental disaster in your basement. Place towels on any carpeted areas of the home where fuel oil will be carried over. The smell of fuel oil is hard, if not impossible to get rid of. Covering any wooden floors is also recommended as fuel oil can seep into the wood pores and cause discoloration. Place a five gallon bucket under the large drain valve located on the bottom of the oil tank. If a five gallon bucket does not fit under your oil tank, use a three gallon bucket. Place a pair of vice grips on the nut that closes the drain valve of the oil tank. Make sure the vice grips are tight on the valve. Put on a pair of gloves to protect your hands from the oil and turn the valve counterclockwise until oil starts to drain. Do not remove the nut that opens the valve. Open it enough to start the drainage process. Drain approximately four gallons of oil into the bucket and close the valve. Do not remove the bucket until the oil stops dripping from the valve. Drain the oil from the bucket into the storage container. Repeat steps four and five until the oil tank is emptied.